Here’s another recipe designed for my wife who loves baked potatoes and is an extreme chili head (the hotter the better). Begin by marinating your chicken breast in buffalo sauce for up to 2 hours. Next poke holes in your potato and drizzle with olive oil. Then sprinkle with Kosher salt. 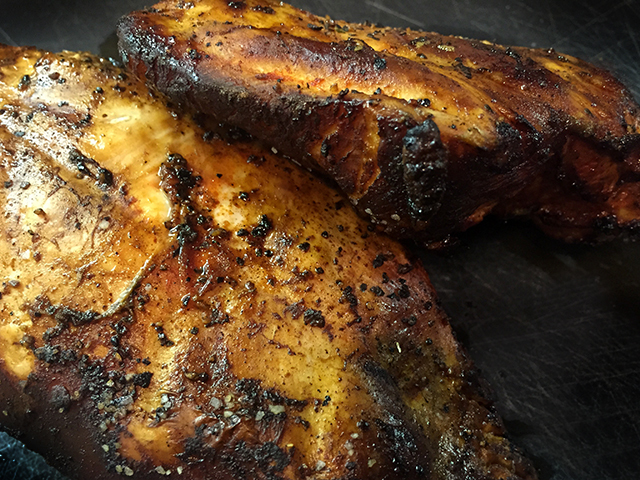 There are 2 ways of doing this recipe… if you’re short on time, place your potato in the microwave for 2 1/2 min on each side, then continue to cook in your 300 degree smoker until probe tender (about 45 min). If you have the time, you can cook your potatoes in the smoker for the whole time for an extra smokey finish. 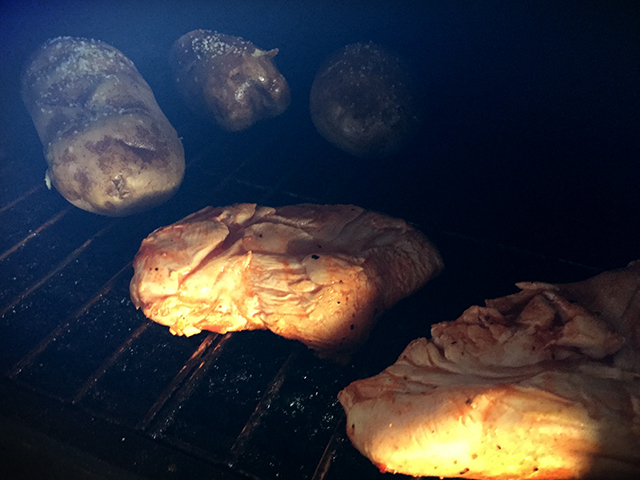 While your potatoes are cooking, place your chicken breasts in the smoker seasoning with GMG sizzle rub, cooking them also at 300 degrees for about 30-45min or until the internal temperature hits 165. Remove your potatoes and chicken breast letting them rest for 10 minutes. Slice your potato and remove some of the inside. Dice the chicken, into 1/2 in cubes and fill the potato with them. 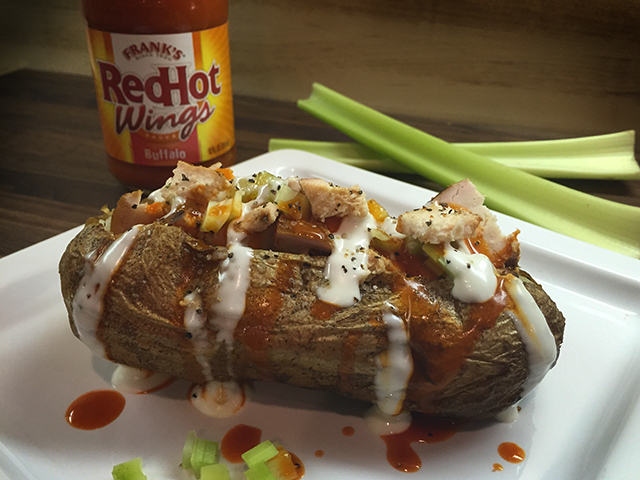 Continue to top your potato with the celery, hot sauce and blue cheese dressing. Finish with a light amount of blue cheese crumbles. Happy Grilling! If you have any questions on this recipe or any other post please leave them in the comments.